Founded in 2002 by Mark Dale and Chris Wellington in california. At Number six we set our aim to become a top innovator in design and technology, striving to make every board and accessory the best it could be. Visit the website of THE NO. SIX now ! THE NO. SIX , belonging to category "Bodyboarding Brands"
Thanks for the support BD ! 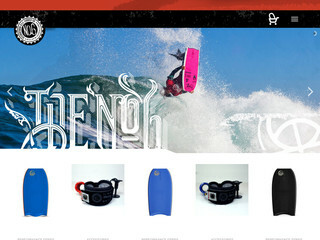 Madrid Bodyboards is an american brand of bodyboard located at Maui and created by Jerry Madrid.